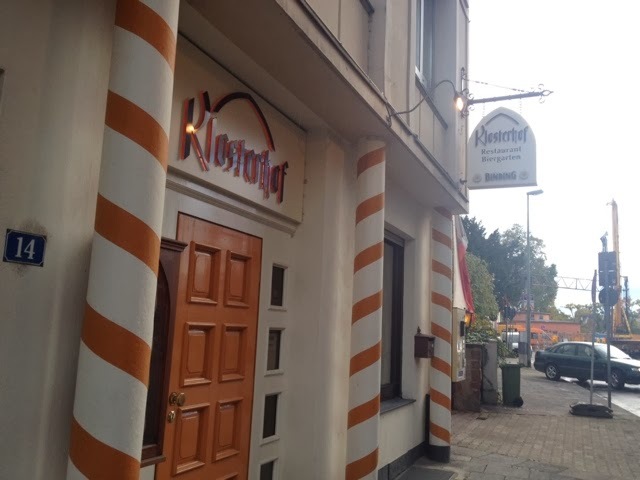 Klosterhof was the name of the quaint, cozy tavern where we escaped the cold, damp air of Frankfurt for a hot meal. We were told all tables were on hold for reservations, though it was barely 5PM. We navigated to the bar to find cozy booth-type seating in a section at the bar. 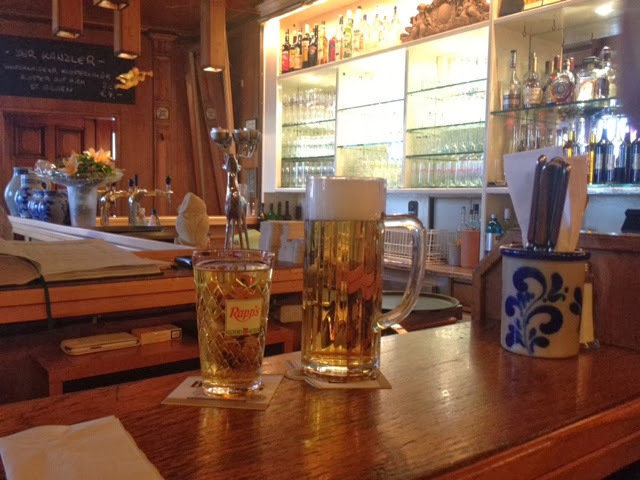 We drank what Frankfurt is known for, apfelwein and bier! The apfelwein tasted like apple cider (Magner's or Bulmers), mildly carbonated and delicious. For dinner we ordered straight comfort food. Hot and spicy beef goulash soup. It was exactly how it sounds, and it warmed me up inside. 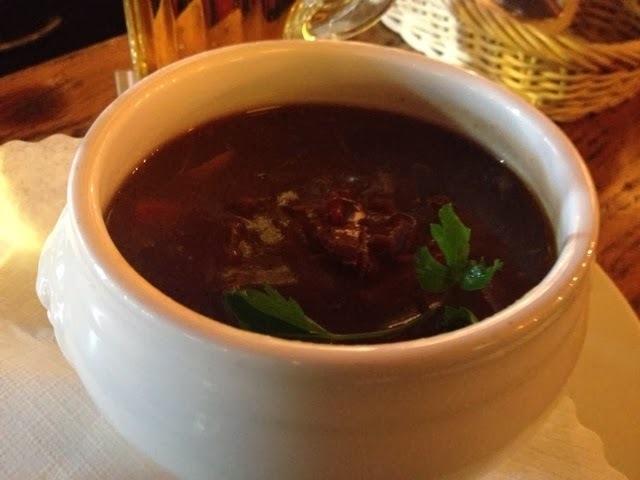 This restaurant came up in my google search for "best goulash in Frankfurt" and it did not disappoint. 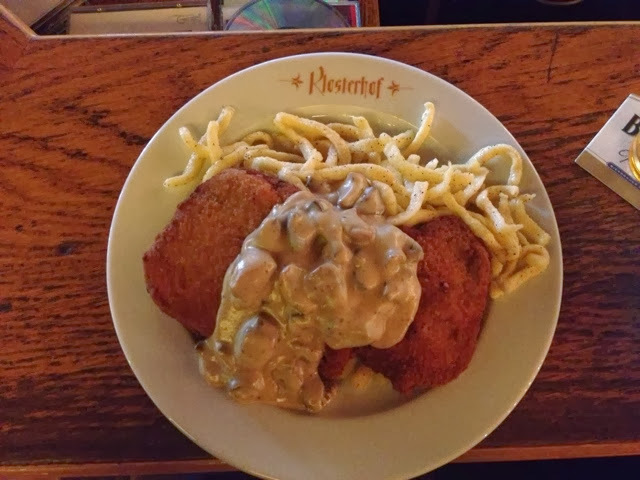 We also had the weinerschnitzel with mushroom sauce and dough dumplings which was heavy and absolutely incredible! The only downside to this place is the cash-only rule. Frankfurt had a lot of that. The total cost for this night out wasn't even €25.